Since the arrival of the Switch, 3DS sales have begun to slow. While this beloved handheld system - first released in 2011 - is easily one of the best Nintendo has created, it has come to a point in its life where support is finally slowing down. A quick look at the scheduled 3DS releases for 2019 reveals slim pickings, with only a handful of games on the horizon. In the same Nintendo financial briefing Q&A, which was recently translated, company president Shuntaro Furukawa was queried about the staying power of the 3DS and if there was a possibility it could continue to co-exist alongside the Switch. Furukawa was quick to admit the market for the 3DS had contracted a lot faster than Nintendo had expected but said the system remained appealing because of its compact design and affordable price. He then explained how the system was still a popular choice with parents of younger players and said it was for these reasons Nintendo would continue offering both the Switch and 3DS. As for the future of the Switch, the company aims to drive sales of one system per household and then increase demand to the point where each user wants their own device. What are your thoughts about Nintendo continuing to sell the 3DS? Would you prefer the company focused all of its energy on the Switch? Are you still playing your older portable device on a regular basis? Tell us below. I still want to expand my 3DS games library this year by adding the PAL version of New 3DS XL after i got Japanese New 3DS LL. 3DS still needs some new games during this year. The Switch on the other hand, rarely a day goes by that I don't use it. They say that, but try buying a 3DS XL in the UK! You can't unless you go second hand or pay way over the asking price. They are still selling the 2DS though. @Medic_alert Only the base 2DS, or do they also sell the New 2DSXL? They were selling the DSi XL long after the original 3DS was out as well. They will phase the 3DS out soon enough though, I imagine they are just trying to get rid of the last of their stock at this point because the sales have really fallen. Everyone wants Switch games at this point. @Emob you can get the XL too. But no 3DS models. I want to buy a New 3DS here in Italy but it seems Nintendo stopped distributing them. Only New 2DS XL and the 2DS are being sold here on retails. New 3DS XL are even hard to find. I love Nintendo’s defiance with the 3DS. Obsessed fans can keep howling at it and standing by it’s grave but grandpa 3DS ain’t going in the ground till Nintendo makes that call. In this world of cash in cash out mobile devices I say go, 3DS go! Sit on that shelf! I recently gifted my niece and nephew a 2DS for each of them. They are loving it. Being cheap and having a huge library of games helps a lot. They never had one so now they have plenty of games to play. It'll be a few years before they get tired of it. I just want to be able to play 3ds games on a big monitor. 3DS is the new Vita. No reason to stop selling it if people are still buying it. But the demand is fading quickly. Look for the last part of this article to be referenced when Nintendo officially announces their cheaper Switch option. Well, if Alex says the 3DS is dead...then it's obviously got a good couple of years left lol. I won't even give that video any clicks because well, R.I.P is pointing at something that is dead, where this is still selling with a couple of games due out this year. It's just retiring. Meanwhile, I've spent the last week playing Etrian Odyssey Nexus and it's great. I still have my super nintendo limited edition new 3ds xl. I am looking forward to Kirby's extra epic yarn. I still think it too bad they are not implementing 3d visuals in the newer games. Sure keep it alive!!! I’ve been playing mine a lot the last week and a half. Just picked up Samus Returns. Nintendo will continue to sell 3ds as long as they could clear out their inventory. @Medic_alert That's pretty lame, but understandable with the 3D feature no longer being added to newer games. The Switch isn't really a complete replacement for the 3DS yet (as a dedicated portable system), and there are a couple of factors that make it less suitable for younger kids. The price, obviously — it's still priced more as something adults buy for themselves rather than for their kids. But it also doesn't have the durability of the 3DS. I let my kids (ages 6 and 8) use my Switch at home, but there's no way they're taking it anywhere. My 3DS has fallen 5 or 6 feet onto laminate flooring and concrete several times and it still works. My daughter took it in the car one time and she thought it would be a good idea to toss it into the car. She missed, it landed on the paved driveway and skidded a good 6 feet. It's got a few chips in the finish, but it works fine. I don't think the Switch can survive that kind of punishment intact. IMO, the Switch won't truly replace the 3DS until Nintendo releases a smaller, more durable unit that is significantly cheaper. I love and still play my 3DS regularly along with my Switch. I love that both co-exist. Personally I wouldn't complain if they revamped the 3DS and released a console capable of upscaling the 3DS library of games. A limited run thing perhaps because Switch is here (and it isn't going to happen anyway), but I would love that. I wouldn't be surprised if they sold off the last of their 3DS stock, and focused on the cheaper 2DS systems for another year or two. There will probably be a few more ports, along with some more 3DS Nintendo selects versions as well. But I don't expect much past that, since even software sales are dipping. The question is, when things do die down for the 3DS/2DS. Will Nintendo release the fabled mini budget switch or something else? The lower price point of the 2DS is what kept the 3DS line kicking for this long. I imagine it will like a gap in the market when it's done. @Geobros 3ds has a better library overall, it also has a fantastic eshop. And for now....it has an animal Crossing and a Pikmin game. Pokemon Ultra Sun/Moon, Mario Kart 7, New Super Mario Bros 2, and the other evergreen 3DS games still rake in solid numbers despite being ancient (Pokemon aside), so there is no reason to halt their success by discontinuing the 3DS. On the other hand, new 3DS releases (or more accurate, new 3DS remakes/remasters/ports) are flopping left and right, so I think it's best to call it quits with regards to 3DS software development. I did a quick search in trovaprezzi.it and found that gamestop and unieuro still sells the new 3ds xl in different variants. To be fair, Nintendo do make machine's, and game's, that can be enjoyed years later. Despite owning a Switch and a New 3DS, I have just earned my 52nd star having recently restarted Mario Galaxy on the Wii that I keep hooked up to my TV. That's the power of Nintendo. This is what they should have done with the Wii instead of killing it off. Yeah the white one and the Pokemon one which I'm not a fan of. But thanks! @BensonUii Yeah in that case it's not very easy. I see most on amazon.it are overpriced as well. I did find a white new 3ds NOT XL for only 129€ there though, and the nice thing about that is that you can change the backplates above and below. I guess those are mostly your options unless you are able to go for a new 2ds xl which is in stock mostly everywhere. I personally like the black/turquoise even if I have a black N3DS. There's going to be a few more big 3DS games this year and a few more in 2020, and that'll be it. Definitely more waves of Nintendo Selects as well. I won't even try to decide which has the best library, all Nintendo handhelds are LEGENDARY. I'll be playing my 3DS well into the future. It has a massive library at this point, chock full of games worth playing. I still need to pick a bunch up. @Splatmaster How? The 3DS has two screens and the Switch has one. Hmm, something tells me that the same people demanding Nintendo release more first party games are the same ones also demanding more support for the 3DS. @thesilverbrick Technically the 2DS only has one screen. I suppose you could hold the Switch lengthways & the Switch could display one screen in top of each other.. but that would be super uncomfortable to play with. Your post is exactly why I think will release a cheaper, more durable and possibly slightly smaller Switch this year. This idea really upsets some posters on here though. They really don’t want Nintendo to do that for some reason. Great idea. Can’t see them doing it somehow but great idea. When was the last "new game" Nintendo developed and published for the 3DS? Yes it is still alive because they have them to sell and a few ports means good money for Nintendo but the system is in its late twilight years and hasn't really been supported by Nintendo in a year or more. RIP my beloved 3ds. You were with me everywhere I went. I still play my DS although the Switch takes a lot of my time. @DanteSolablood @Splatmaster It’s not quite that simple. The early model of the Wii could only play GameCube games because there was a separate processor inside to run them. Same is true of the 3DS additionally having the guts of a DS for backwards compatibility. Besides the obvious hardware differences (3DS’s verticality as opposed to the Switch’s horizontal layout, differences in touchscreen mechanics [pressure based versus capacitive], Switch lack of features like a microphone and StreetPass capabilities), making the Switch run 3DS games isn’t as simple as adding a peripheral to hold a cartridge. Internally the Switch was never designed to do that and there are a whole mess of potential complications. @thesilverbrick All those qualifiers aside, and I'll admit there are a lot, this is Nintendo we're talking about. So that's both good and bad. They made a Wii Mini with NO online. And they bundled it with Mario Kart. They made a 2DS to play 3D games. They managed to get several Gameboy games playable on the Wii U. My guess is they could get 3DS games playable on Switch. Now honestly, I don't think they'll make the carts compatible, not a chance. But how many Wii U games have been ported to 3DS - Kirby, SMM, Yoshi. If they can get Wii U games to work on 3DS certainly they can port 3DS games to Switch. Not the carts though, no money to be made there. Still not sure they'll do it with this model Switch, but there are far too many DS and 3DS games out there just to be left for dead and never played again. They'll be ported to something. Lego City Undercover and Zombie U - the Wii U games with some of the best use of the 2nd screen, got ported to other single screen consoles. Nintendo will find a way to replicate 2 screens somehow, somewhere. Might as well be Switch. 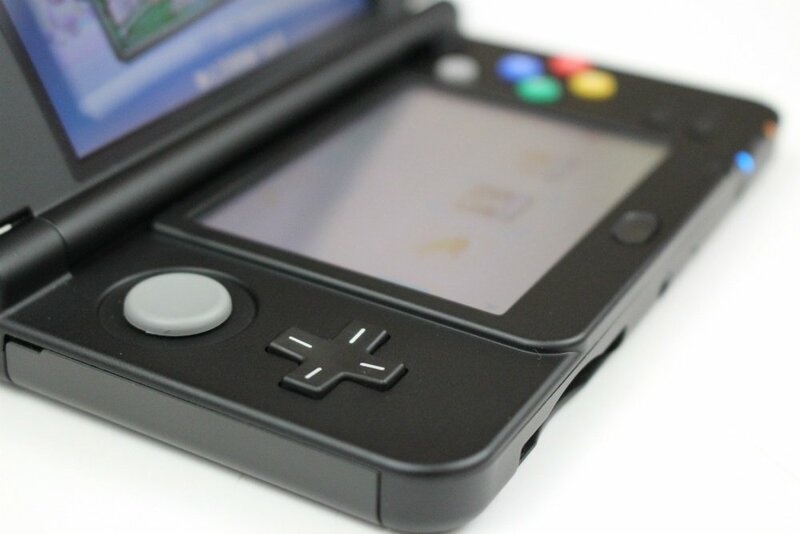 Though currently I'm betting on a 2 screen clamshell design Switch DS in about 2 - 3 years. Oh sure mock me, but nobody asked for the 2DS or New 2DS XL either, but we gottem both. It's still a great entry point to Nintendo for kids, and it's still selling. So why remove it from shelves if it's still pushing some decent numbers? It will fade with time like all other technology, but there's no reason to stop 2/3DS production entirely. FWIW, my mother teaches first grade and often has kids tell her what they got for Christmas. No Switches were mentioned, but a couple of 2DS systems were. Their cheap price point is perfect for that age group. @rjejr Oh, I’m not saying that they won’t port selected 3DS games to Switch or maybe even emulate aspects of them with a Virtual Console-like service. I’m simply arguing they won’t add a cartridge slot peripheral and create instant backwards compatibility. But it seems as if we’re already on the same page with that. I would buy a New New 3DS with more power a new exclusives. @Medic_alert The 2DS will be the last iteration to hold out. It's built like a brick so is perfect for the market Nintendo say they are now targeting. @thesilverbrick No, can't imagine Switch OS emulating 3DS that easily, gotta be incompatibilities galore there. If that were the case it would have worked from the start and they would have made the carts the same size. If they still wanna sell it, let them. It’s not exactly bustling with new software anyway. Seems like the plan was to run the 3DS until it had a replacement (for the sake of argument, let’s say it’s a smaller, more affordable Switch). But that comment makes it obvious that they didn’t anticipate the 3DS dying so quickly. Either the 3DS replacement gets fast-tracked before sales become dismal, or they just ride it out with the 3DS as long as they possibly can. Selling stock or inventory that will be to be seen. I think their focus is Switch market share and then after that then they give us a clear picture. I hope Nintendo continues to support the 3DS platform it would be great if they would offer some more of the 3D Classics like the Kirby and Kid Icarus titles with the 3D effect. There is still nothing like the 3DS and it could still have a couple more years of success ahead of it . I still play my 3DS almost daily I can say I play my 3DS more than I play my Switch and I can say that the 3DS is my favorite system Nintendo has ever released. Why does Nintendo Life want the 3DS to die? What’s wrong with it? What’s wrong with having a choice? If you don’t want it, don’t buy it. Welcome to capitalism. There's still games coming out for it that I really want, that aren't available elsewhere. Etryan Odyssey and Persona Q2. I still need to get Luigi's Mansion remake, as the original is one of my favourite "Mario" games ever, and the second one added a lot (including, sadly, a ton of handholding). There's other titles I still want to get, and the system has been one of my favourite gaming devices ever from quite early on, and I got it on launch with frequent hardware updates and collectible special editions for my Zelda collection. One of the biggest reasons to hold on to 3DS is if you started from the beginning and built up a large library of games for it. If you started off buying up all the classics and a lot of the exclusive games for it, it's not easy to just dump all of that and re-buy everything just because it is on Switch now. You already paid for these titles, why re-buy them when the system they are on is still operable? Also, the exclusive games are valuable to those collecting for certain series, like Shin Megami Tensei--SMT IV, Strange Journey, Devil Survivor, and Demon Summoner are all largely exclusive to (or are great remakes for) the 3DS platform. If you are seeking to build a collection for SMT, Zelda, Mario, Pokemon, etc. a 3DS is still a necessity for these kinds of collectors, old and new. Finally, 3DS is still something that can be carried around your pocket easily, unlike the Switch and its need for a purse or bag to carry it in. If you still have that long train / bus ride to look forward to and want to conserve your smartphone's battery for a long work day ahead, the 3DS is still the better alternative for these kinds of travel-game experiences. Sure, I will probably get a Switch at some point, but will I be eager to dump the 3DS into a dust bin, never to be played again? Nope, it sits right next to my PSP as two great classic gaming repositories I will never put down. the 3ds is on it's last legs there is only so much they can support it, it's almost a decade of support, is there any other console out there that has been supported for that long? @thesilverbrick Oh, indeed! I understand it's more complicated than simple screen layout. However, there are much more practical complications behind a "3DS slot" (many of which you have in your reply) than the number of screens. I just hear number of screens brought up too often when it's a non-issue. And let's not forget another important reason that Nintendo wouldn't add a 3DS slot to the Switch.. why sell one console when you're already happily selling two? @huyi Xbox 360 (2005-2013 with 3rd party support for a few extra years). @Medic_alert I'm going to cherish my n3ds xl as you can't buy them anymore. @huyi Ha, if you have the box all in great condition they are already starting to climb in value. You certainly can't get a good condition one cheap any more. @BensonUii can you buy a refurbished 3DS on the official Nintendo store's website in Europe? The US store always has a bunch available. The refurbs are just like new, in my experience. No, Nintendo Store Italy only sell some Nintendo accessories, apparels, some select games, etc. I took the dip and finally upgraded from my original 3DS - to basically get three free games couldn’t be sniffed at. But I reckon that at these prices, Nintendo are clearing their stock and by Summer will focus solely on the Switch - Nintendo do not normally offer such heavy discounts. They will still sell 3DS games (as the install base is huge) but they will market them through the e-shop rather than physical - just look how long the Wii Shop lasted for. Makes sense. It's a great budget console with a phenomenal game library for those who can't afford the Switch yet. It'll probably keep selling until they make some kind of mini Switch or drop the price, but right now there's not any pressing need to do any of that. We have 2 Switches in our household, and 4 DS's. Nintendo says we don't need the 3ds any more unless we are young children, which we are not. So unless we get a smaller device at half the price of the current Switch that can play 3d games we won't be replacing the DS's any time soon. Nintendo just needs to reduce the size of the current Switch without reducing screen size and sell it undocked. And for the rest of us a Switch Pro will do. Of course by abandoning the 3ds rather than updating it Nintendo will forfeit millions of sales. I would guess more gamers that have bought a DS's don't have a Nintendo home console than do. Combined with all DS games and a robust set of 3DS titles, the system has the deepest library of any system in history. Full stop. Even if they never release another 3DS game, Nintendo should continue selling systems for years to people who want access to everything this system represents. Never ceases to amaze me how long the 3DS has continued to thrive. It's about to enter year 9, and I think it's gonna make it to 10. I don't think anyone ever expected the 3DS to become Nintendo's longest-running handheld. Good games are good games. I still buy and play games on my 2ds xl. I even got it after my Switch. It's a better portable IMO. Nintendo should make a 3ds Switch. Color is technically a different system, but Nintendo classifies it with the GB. If anything, its like the "'New' 3ds". It's a wise move to hold on to it as a would be budget system. But it's not really being supported, just kept alive. Without new works, it's existing on the strength of it's back catalog. A lot of people have a death wish for the 3DS which I find puzzling. Without this little console, all of us Nintendo fans could be looking at a SEGA type situation with the Wii U’s failure. The 3DS has kept Nintendo in the game as a console maker. This doesn’t take anything away from the Switch and its success; but in an unglamorous way, the 3DS kept the investors off Nintendo’s back and allowed them to create the Switch. I hope they continue to support the 3ds for a couple more years. Development time for 3ds games is less than for the Switch so we could get smaller experiences that are still quality. I would love a new Zelda on 3ds as it’s swansong. Of all the systems I’ve ever owned it is probably my favourite. Small form factor, well designed, decent graphics (for me at least), and a huge library of games that contains some of the best Zelda, Mario and Pokemon games. What more could you want as a Nintendo fan. Finally got to Etrian Odyssey IV in my back catalog and loving it! Regardless of when they'll stop making systems and games I'm confident I'll be playing my system for a long time. @Marios-love-child see I'm the opposite. The switch to me is boring. If we looked at the 3ds and switch bare bones 3ds wins because it comes with more built in software. I use my Switch and 3DS in equal amounts. Love them to bits and I haven’t grown weary of them yet. I am glad they have a strategy in place, but I think my time with my Nintendo 3DS is done for the most part. I will still replay some of my catalogue every once in a while since it has so many classics, but as for new experiences I think I am done. I'd dig a 4ds that played 3ds and original ds games and native 4ds games. Especially if the weaker 4ds games allowed players to seperate/snap on snap off the top and bottom screens for some nintendo switch style local co-op gaming. I'd also think like to see switch joy con reused as controllers for the top and bottom 4ds screens as well as touch screen for both screens as well. So, basically at the end of 2019 it'll be gone. Cool. Then maybe Nintendo can actually meet their sales goals for Switch hardware units. @charlieonholiday Bull. The Wii U has 50% MORE sales than Dreamcast, and the software sales (which is where it matters more as companies make their money on games, not systems) is over 300% MORE than Dreamcast (30 million to 102 million). Quit saying Wii U and Dreamcast are the same. They're not. have CAPCOM, BANDAI NAMCO and SEGA make PROJECT x ZONE 3. Couple of things here. Dreamcast software sales were 52.92 million as of end of March 2001. Hardware sales were 8.94 million at the same point. At the same point in its life (end of March 2015) Wii U had sold 9.54 million hardware units and 56.68 million software units. Very similar though it must be noted that Wii U have a worldwide launch whereas Dreamcast was only in Japan for its first 10 months. The eventual sales difference between the two is down to Wii U then being on the market for 2 years longer. Long live the 3DS it truly is a great system. To be honest I will always play mine regardless if it’s discontinued or not. Just because systems are dead to the main stream doesn’t mean they are dead. I’m still playing on SNES, Megadrive, PC Engine, Neo Geo, Vectex, C64, Spectrum. These systems have been commercially dead for years. Now that Yo Kai Watch 3 is out, there are no more 3DS games that interest me.... unless 4 is ported to America. I guess it depends on what you want from a device. For me the Switch always has and always will be about playing games on it. In that sense the Switch wins hands down. @nintendosage "So, basically at the end of 2019 it'll be gone. Cool. Then maybe Nintendo can actually meet their sales goals for Switch hardware units." This is what NintenDoomed fandom wants. The 3DS isn't taking anything away from the Switch. If so please cite credible sources? This Switch has only been out less than 2 years and NintenDoomed can't seem to get enough of their own fallacies. @Marios-love-child "For anything else I simply use my mobile phone which is never more than a meter from me"
Other then Pokemon Go and Fortnite - Mobile are best at making and receiving calls or Tweeting. Really? 3DS has been discontinued in EU and Australia.... ONE YEAR a go! They will continue to "sell" it, not produce it. The 3DS is underwater they aren't going to admit it. I honestly don't care if it goes it had a great run. 8 years is a long time. We all saw this coming. That piece of hardware is dated. 240p graphics. We only bought the thing to play games like Pokémon and now it seems like all of the on-the go franchises are coming to the Switch. There's no reason to buy one anymore besides the price. "Nintendo will continue to sell the 3DS"
The Switch to me isn't really that portable, 3DS is and the clamshell design works really well. Does this now mean Switch will be expected to create the same amount of sales as consoles and handheld combined one 3DS dies? I'd like a successor to the 3DS and I think people would buy it. You get unique experiences on the handhelds which you don't get on consoles. I love the 3DS, and think it's a wonderful console. I just wish they wouldn't glitch/and or break so easily. My original blue 3DS had it's shoulder buttons stop working, and the touch screen was was super inaccurate. My Mario&Luigi 3DSXL had one of the joints snap off causing the top screen to dangle off the consol, and eventually it just blacked out. My sapphire 2DS had it's battery life die down to just 15-25 minutes per charge. And the touchscreen and the buttons on my black&blue new 2DSXL stopped working, (And before you ask yes I've tried the toothbrush thing). I don't know whats up? mabey, I've just been taking bad care of them. The 3DS is still my travelling system, as I have so many games to complete on it. Only recently I just bought Animal Crossing. Otherwise, it's dead, especially when it comes to new games, and it's really the 2DS that they'll keep selling. The 3DS is difficult to find, unless you want the special Samus edition, in which the main EB in my city had stacks of them. I'm not saying that's a negitive thing. I love the 3DS! At this point I can say that it is best system that I have ever owned. My son is also aware of the Switch, but he is perfectly happy to play 3DS. He had two friends over recently and they played multi-player 3DS games for hours. I did not hear any of them moaning that these 3DS games were out of date. They just enjoy playing games. However, I am sure that Nintendo will phase it out after this year. Despite what they say, as soon as the next Pokémon game lands on Switch (along with a smaller form factor to make it easier for kids to hold) there will be no compelling reason for them to continue pushing the 3DS. People buy their kids a 3DS so that they can play Pokémon and Mario Kart. As soon as both are on Switch every kid will want Switch instead. So it was a slow news day? How is stating the obvious news? Obviously, they will keep selling something if it continues to sell. No reason to make a story out of everything they say. Fire Emblem Three Houses LE is up on GameStop Italy. 100,98€ asking price. Limit one per customer but I did order twice (for pickup) for a friend.